1 card with blank washi paper insert and envelope. Kanji characters for "Ga" (celebration) and "Shou" (year). 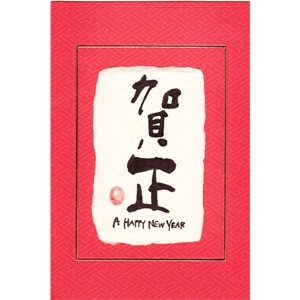 In Japan, Nengajo (usually in the form of postcards) are sent as a greeting for the New Year. The tradition is similar to Christmas cards in the West, though there is no religious significance for nengajo.